It may not be easy being green, but according to the new documentary Being Elmo, red isn’t such a bad color. The film, a look at the man behind the second-most popular Sesame Street character of all time (after Kermit, of course), tells the story of how Kevin Clash grew up in Baltimore dreaming of being a professional puppeteer, and eventually made his dreams come true when he got a gig working on Sesame Street under the tutelage of Jim Henson and Kermit Love. Being Elmo uses archival footage and photography to show how Clash’s skill and ambition were evident early on, and how he gained recognition working first on local television and later on Captain Kangaroo and other films before moving on to the Street. Like the show Clash works on, Being Elmo presents a cleaned up version of what is likely a more difficult story. For example, it’s glossed over that Clash sacrificed his relationship with his own daughter to instead be a friend to millions of children around the world. Here, that’s treated as dedication to his craft rather than irony. And it’s spin like that that prevents Being Elmo from being a truly insightful film. But that’s not necessarily a bad thing. This is a completely enjoyable portrait of the man who took Elmo from random puppet to multimillion dollar enterprise, and one of the most valuable and beloved properties in the entire Children’s Television Workshop family. It’s a local boy makes good story that will have you smiling, and will make you appreciate Elmo as a character and an achievement in puppetry even more. 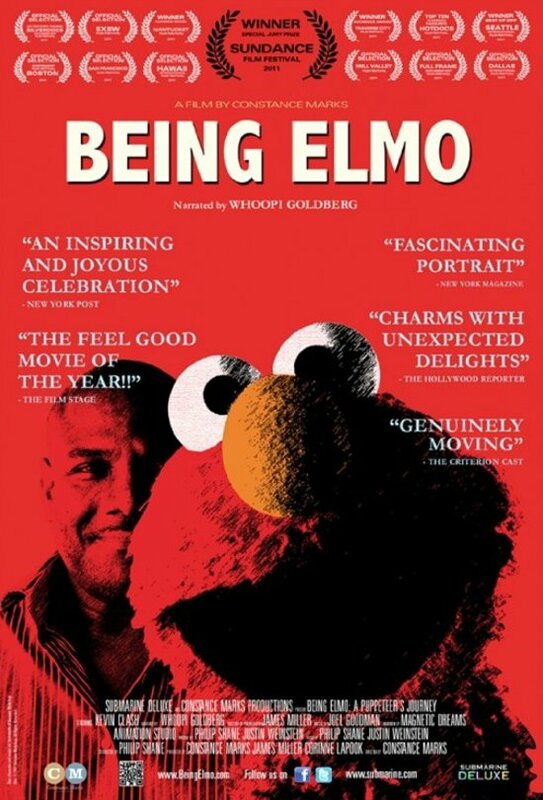 Actually, I found Being Elmo to be more enjoyable than The Muppets movie itself. Now that is irony. I’m giving Being Elmo a B+.